You need this bread in your life. Banana Bread, in my experience, tends to lean ever so slightly in the direction of cake. And while I enjoy cake, we can all agree that cake is not a healthy choice for breakfast. 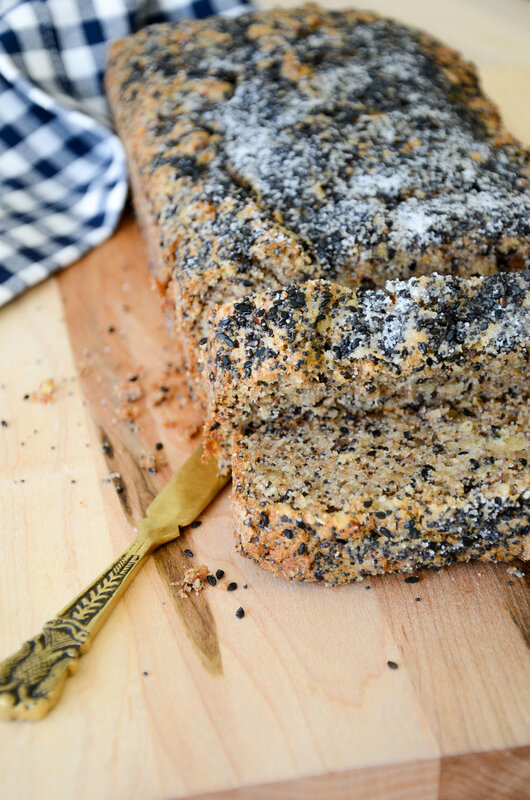 This Seeded Whole Wheat Banana Bread is good for you. Made with whole wheat flour, lots of seeds and very little sugar, it is the kind of addition to your breakfast line-up that you can get behind and not feel guilty about later. I like to make a loaf of this, slice it into six or seven segments, wrap each one in plastic, and then pop them in the freezer. I take one out to thaw on the counter each night, and then grab it in the morning on my way out the door. I add some Greek yogurt or two hard-boiled eggs for some protein, and I am good to go until lunch. Mix a batch and give it a try! It will not disappoint!